Season’s Greetings, Wow! Wasn’t the light party amazing? Rachael did a great job with the food – I enjoyed nibbling up the crumbs from the hotdogs. Apart from harvest of course, I think that Christmas is my favourite time of year. The Church is always so beautifully decorated with lights and the nativity. 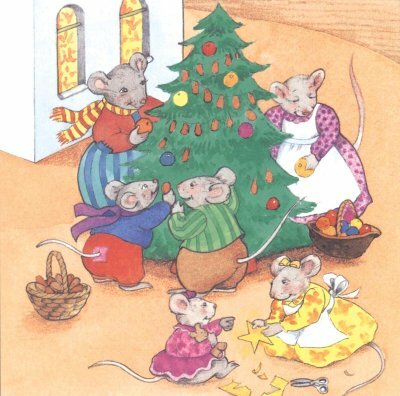 I am especially looking forward the Christmas tree festival because, when nobody is watching, us mice like to scurry up the trunks and play tag in the trees. The trees looking so lovely – I hope you are displaying one for us to enjoy.